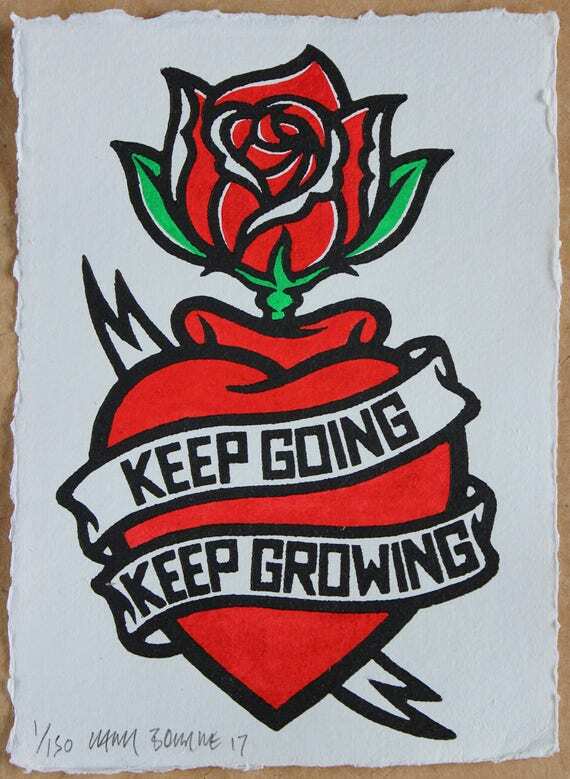 I’ve made a new edition of my popular ‘Keep Going Keep Growing‘ lino print, with a rose design. It’s printed on handmade, Indian recycled cotton paper, hand painted in acrylic ink and is a signed edition of 150. For full details visit my Etsy store.